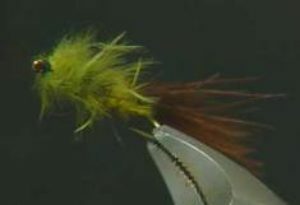 Tie in a clump of brown marabou for the tail. 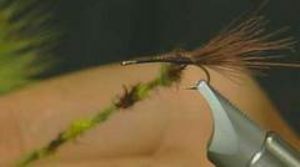 Make the tail as long as the hook. 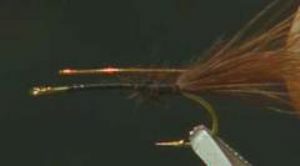 Tie in a piece of copper wire. This will be used to rib the fly later. 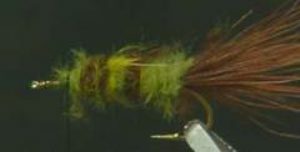 Dub brown, light olive, and yellow olive marabou onto the thread and alternate colors as you dub. 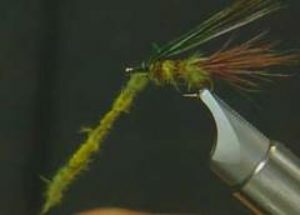 Wrap dubbing onto hook to form a tapered body. 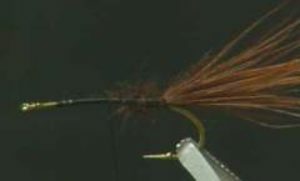 Rib the body with the copper wire and form about 5 to 6 ribs. 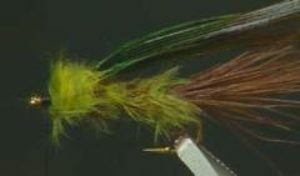 Tie in some green pheasant tail for the wingcase. 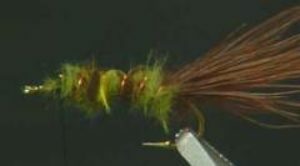 Dub some light olive and yellow olive marabou onto thread. 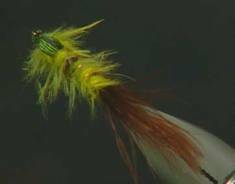 Wrap forward to form a head on the fly. 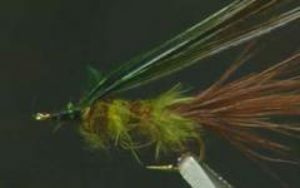 Pull green pheasant tail over the head to form the wingcase. 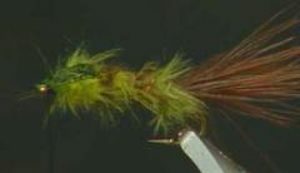 Whip finish and the fly is ready for your local lakes.